We’re nearing commencement exercises across the nation and thus news of commencement speakers at various universities is beginning to hit the press. “The Huffington Post” has reported a number of these speakers, many of whom are interesting choices to address the graduating classes. If you’ll recall from last year’s graduation ceremonies, Conan O’Brien, the speaker at Dartmouth College, gave the most exciting speech. If you haven’t seen the Dartmouth graduation speech, you should be sure to check it out. It was by far and away the best graduation speech we’ve ever heard. 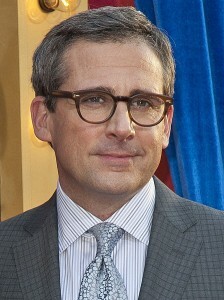 Steve Carell will be addressing graduates of Princeton this year. Barbara Walters will be the speaker at Yale (photo credit: Tom Sorensen). This year, Steve Carell will be addressing the graduating class of Princeton University. Condoleeza Rice will be addressing grads at Southern Methodist University. Cory Booker, the erudite mayor of Newark with a profound interest in Judaism who ran into a burning building on Thursday to successfully rescue a woman, will be addressing the graduating class at Stanford University. Geoffrey Canada, the founder of the Harlem Children’s Zone, will be speaking to the graduating class of the University of Pennsylvania. Trailblazing journalist Barbara Walters, perhaps the most prolific female journalist of our time, will be addressing the graduates of Yale University. EPA Administrator Lisa Jackson will be speaking to grads of Tulane University in addition to the University of Washington. Adam Savage, one of the Mythbuster guys, will be speaking to graduates of Sarah Lawrence College. Walter Isaacson, the man who wrote Steve Jobs’ biography, will be addressing Cooper Union graduates. And the man with the famous voice, James Early Jones, will be receiving an honorary degree from Juilliard. We’ll be updating you with more commencement speaker announcements as they’re announced but hat tip to a slideshow on commencement speakers in “The Huffington Post” for these leads. Of these speakers, which university do you think scored the biggest get? Is it Barbara Walters? Condoleeza Rice? Steve Carell? Cory Booker? And let us know who you think would make a better graduation speaker than the aforementioned folks!